Welcome to another week of Travel Photo Thursday. I arrived in Vancouver around 11:00am on June 21st, having left Seoul at 4:30pm on June 21st! I managed to get a seat with some extra leg room, so all was good. Since arriving I’ve been spending time between Vancouver and Washington State. The cameras haven’t been too busy, but I have caught some shots with the Iphone. Do scroll to the end for a pleasant surprise. I managed to miss the sunrise coming into Vancouver, and the next time the camera saw any action I was across the border in Washington State at my friend’s summer place. On Monday we left the summer retreat for a few days. However, not before a blogging friend and long time contributor to Travel Photo Thursday, Jackie of TravelnWrite, paid a visit. We chatted about our travels, and where we hope to go in the future. There was even some talk of a future Travel Photo Thursday meet-up! Thanks so much for the visit, Jackie! I know our paths will cross again. you’ll have to go into the border crossing office, show your passport, and obtain a Visa. After 48 hours in the States you can bring back up to $800.00 worth of merchandise. There are restrictions on the fruits and veggies you can bring back. You are allowed 1-40 of alcohol or 2 bottles of wine. Keep your receipts! Welcome back to Canada! Love the photo of the evergreens in Washington State – they make you feel so small. Great photo of you and Jackie – it’s always so much fun to meet up with blogging friends in real life! Hi Lisa, It’s great to be in Canada, and I love Washington State, too. Jackie and I had a lovely lunch and visit. I agree Jackie! I felt like we had met many times before. We’ll have to explore a Travel Photo Thursday meet-up. It is definitely doable. Love the picture you took of the sunset from the plane. I love having the opportunity to meet up with blogging friends- how fun for both you and Jackie! I was pleased with that shot, and I took it with my iphone, so was surprised it turned out so well. How wonderful that you and Jackie had a chance to meet. After reading both your blogs, I feel like I could also just sit down and start chatting away with you. I really like that sunset photo. I’ve been in the center section between the aisles the last few times I’ve flown and haven’t had a chance to look out a window. Hi Jan, I’m super happy to be back in Canada. We’re back at the summer place again, and even in the rain it’s fantastic. Hi Nancy, glad to hear you made it home okay. It’s so great to see you and Jackie together. Travel Photo Thursday meet-up is a great idea! Hi Marisol, thanks! Yes, going to think about a meet-up…could be fun; stay tuned! Hi Marisol…Stay tuned, I’m thinking about a meet-up! I absolutely love Vancouver and Washington. They’re so green and clean!  I wish we had more trees here in California. Hi Dana! Yes, gorgeous green trees everywhere, can’t help but love it. My home province is also very green. 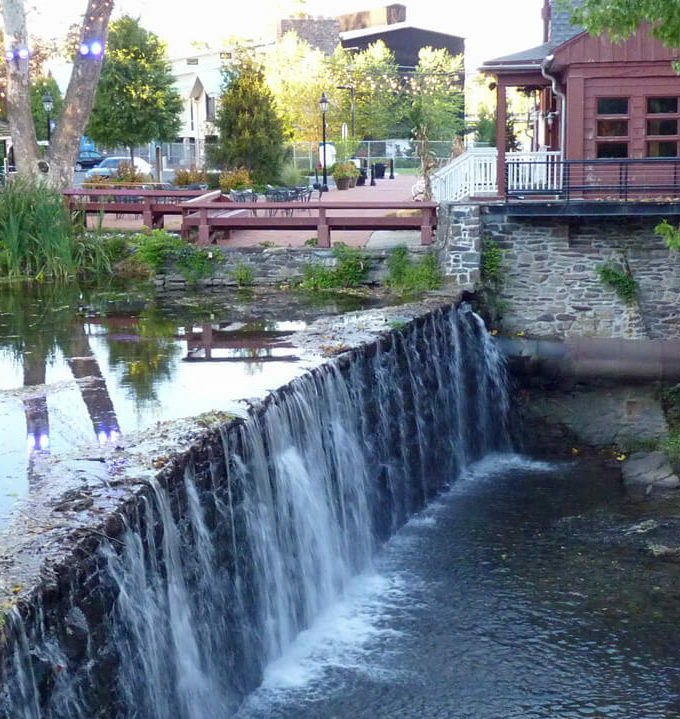 I’m heading there in a few days, and looking forward to reconnecting with home. Welcome to home soil. Hopefully you catch some of the sunshine we’ve ordered for the weekend! Thanks, and the sunshine has been fantastic! Good to hear that you made home safe. I love how you left in the evening from one country and landed the same day morning in another. I used to use that time difference to get to work after returning from a holiday (not the best feeling though). I did that a few times when I was working in Canada. I remember landing in Halifax, headed home, picked up a new suitcase and landed in Montreal for a conference a few hours later…beyond tired! Michele, I felt like I had known Jackie for a long time. We started talking and didn’t stop until she left a few hours later. I’m glad I found you and I’m adding you to my Bloglovin’ list. I’m looking forward to seeing your other travel destinations! Welcome Jennie! 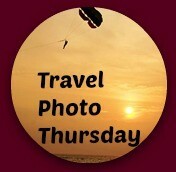 I hope you become a regular on Travel Photo Thursday! How cool that you and Jackie got a chance to meet! Wish I could have joined you.  There is something about catching those sunrises and sunsets from the plane — especially if you get to see both on the same flight. Hi Cathy….Yes, that would have been fun…next time for sure!